Poetry as Prayer is a six month formation group for those wanting to explore poetry as both an invitation to, and a form of, prayer. Participants will be guided in deepening their receptivity to God through praying with poems related to the themes of longing, attention, encounter, struggle, surrender and hope. We will meet one time per month for 90 minutes. Gatherings will include input, private reflection, silence and sharing. Each participant will be given a binder in which to collect a wealth of poetry and resources on praying with poetry shared by the presenter. The primary focus will be on praying with published poems of others, but opportunities for writing and sharing one’s own poetry (if desired) will be offered. Registration: Click on the button below and indicate which event you are registering for in the inquiry box. Elaine Jarvis is a local mother, grandmother, teacher, poet and contemplative given to a life of prayer. She has self published numerous small booklets of poetry and prose and one collection, Perhaps a Door: New and Selected Poems, which is available for purchase on Amazon.com. Elaine describes herself as "deeply rooted in her own faith tradition, yet eclectic by nature and open to the wisdom that comes from all faith traditions." She is an Oblate of Our Lady of Grace Monastery in Beech Grove, IN and an active member of Waterford Mennonite Church in Goshen, IN. 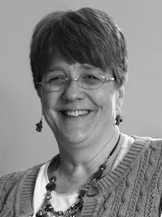 She is an occasional retreat leader on various topics of spiritual formation and prayer.